Combine sugar and water in medium saucepan and set over high heat, stirring constantly until mixture comes to a simmer and all the sugar has been dissolved. Remove from heat and pour into large bowl. Add red wine, brandy, orange juice and orange liqueur to sugar and water mixture and chill in refrigerator overnight. Pour into an ice cream/sorbet maker. Process according to the manufacturer's suggestions. Transfer mixture to a storage container and freeze. 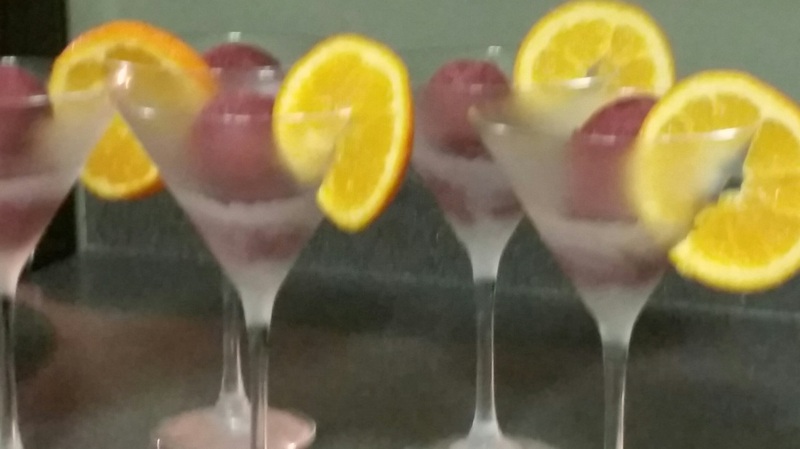 Serve in chilled martini glasses with a slice of orange as garnish.